Now that summer’s here, it seems like there are more bikes on New York City’s streets than cabs. As you may know, the Big Apple has become more bike friendly. This may be due to the recent rollout of New York’s Citi Bike, the eagerly anticipated city bike-share program. There are thousands of bikes now available for the public to ride. While New York City residents are certainly encouraged to participate, the program envisions that tourists and NYC visitors will be riding them even more. Mayor Bloomberg has installed bike lanes, dedicated to bikes only, and has even closed certain streets to cars to encourage safe bike riding all over the City. What exactly is “no-fault”? In New York State, it is a law that makes sure anyone injured in a car accident has insurance coverage to pay their resulting medical bills and lost wages, no matter who is at fault. 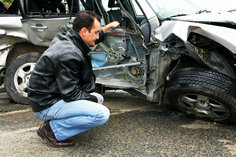 There is no need to show who is at fault before the insurance company pays. New York requires every car owner to buy car insurance that includes no-fault benefits. That way anyone injured in a crash has an immediate right to the no-fault benefit--even passengers who don’t own cars or pedestrians who are injured (no-fault benefits are not available to motorcycle operators or their passengers). As if nursing home residents and their families didn’t already have enough difficult choices, a recent study raises yet another health care dilemma for them. A study of Medicare patients, who resided in nursing homes, concluded that they had a much higher rate of death and complications following abdominal surgery, compared with Medicare patients who lived outside nursing facilities. The risks were as much as six times as great for certain procedures. The writer who summarized the study in the New York Times Blog, “The New Old Age,” , suggested that when surgery is recommended for a nursing home resident, that the resident and their families make a concerted effort to see whether alternative treatments are available. Although surgery may often be the “gold standard” treatment for many illnesses, the substantial risks of surgery may warrant non-surgical treatments for nursing home patients. A little noticed proposal in Governor Cuomo’s draft Budget (Proposal No. 131) would severely limit the rights of patients injured by medical error across New York and would endanger their safety. It would cap non-economic damages (legal awards for pain and suffering) in med. mal. cases at $250,000. Proposal No. 131 would eviscerate fundamental rights of medical malpractice victims, even though it was prepared with no public discussion in a flawed process. It was drafted by hospital industry executives without input from any advocates for the civil justice system and few, if any, proponents of patient rights. It would deny due process and equal access to justice –vital legal rights– to all New Yorkers. The $250,000 cap is completely arbitrary, has no basis in fact, and has no connection whatsoever to the size of a patient’s injury or how an injury affects their quality of life. It discriminates against the most vulnerable members of our society – injured women, children, the elderly the disabled, the poor and minorities. Since individuals in these groups often earn less money than other injured patients, their injuries are more likely to include non-economic damages. Generally they would have the most difficulty proving an economic (out-of-pocket) loss. A study published in the February 2011 American Journal of Obstetrics & Gynecology showed that when a hospital focused on patient safety it eliminated all avoidable deaths and injuries and reduced malpractice payments by 90%. Proposal No. 131’s Draconian damages cap would increase medical costs by eliminating incentives that encourage doctors and hospitals to emphasize patient safety. I am proud that as Tort Section Chair, I assisted in having the New York County Lawyers' Association join with the NY State Bar in opposing this harmful measure. Click here to read the press release. Please follow click here for an easy way to write to your legislators to ask them to oppose this dangerous proposal. New York’s recent snow storms and frozen temperatures have forced many of us to experience the hazards of walking on slick snow and ice covered sidewalks and steps. Unfortunately, too many of us have slipped and fallen on the frozen ground. Slips and falls on frozen surfaces often result in serious, disabling injuries, with broken wrists and ankles high on the list. If you’ve been hurt due to a fall on an icy walkway, what are your rights? Generally, in New York City, a property owner is required to remove snow or ice from a sidewalk on or abutting its property and make the sidewalk safe for pedestrians after a snow or ice storm has ended (of course, there are exceptions). If someone is injured as a result of the owner’s failure to clear the sidewalk, as legally required, the owner is required to pay money to the injured person. The measure of money damages may include payments to compensate the injured person for their medical bills, lost wages, and pain and suffering. Did you slip and fall on snow or ice that remained on a sidewalk or step, after a previous storm? Did you suffer an injury as a result of that fall? Did the property owner fail to remove snow and ice and make the sidewalk safe, as the law requires? Let's hope that the groundhog's forecast of an early spring is right. Until then, please exercise caution while walking outside. If you do fall on snow or ice, know your rights. Call my office at 888-LAW-HELP (888-529-4357), if you have any questions.